Okay this isn't quite a picture from a game, it's a picture of Clive Owen, but did you know before he became a famous Hollywood actor he featured in a game known as Privateer 2: The Darkening? From the creators of the Wing Commander Series and Privateer (Origin), this space trading game plays out like an adventure, like its predecessor. You play the role of Ser Lev Arris, a man who suffers amnesia after an accident and is trying to figure out more about his past - on the way there however, you make ends meet by being a trader, smuggler, pirate or bounty hunter. After adding Revan to my list of top 10 PC Gaming Heroes, it got me thinking that Lev Arris's character is very similar in some respects. Just like Revan he cannot recollect his past and just like Revan he is an example of a person who redeems himself - one who gets a second chance of turning from evil to good. 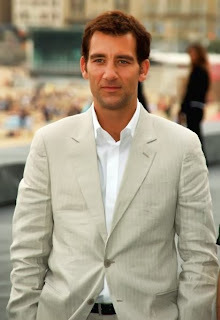 Clive Owen also acts as a foil to the crazy characters he comes across throughout his travels. Just like the player, he's quite foreign to the world he explores and this helps the player to empathise with him that bit more. But of course the coolest part for us nerds is that they managed to get a budding British actor to play the main character and the nerds got to experience Clive Owen before he starred in the blockbusters. It's because of this and the reasons before it that place Ser Lev Arris at #2 on my list of PC Gaming Heroes.